The Centers for Medicare and Medicaid Services announced new proposals for the Affordable Care Act's (ACA) individual insurance exchanges on Wednesday morning. The proposals from CMS include a number of changes to enrollment periods and timelines for insurers in an attempt at "stabilizing the individual and small group health insurance markets," according to a press release. The changes are the first administrative tweaks to the law also known as Obamacare under the new administration of President Donald Trump. They contain a combination of long considered ideas and some serious departures from the previous administration. Perhaps the two most striking changes are cutting in half the exchanges' 2018 open enrollment period and lowering minimum standards for care to qualify for the exchanges. The new rules propose having an open enrollment period, during which people without health insurance through their employer of Medicaid/Medicare can sign up for coverage, from November 1, 2017 to December 15, 2017. Previously, open enrollment periods have run a total of three months from November 1 to January 31 of the next year. Additionally, the rules would lower the "de minimis range used for determining the level of coverage." Essentially, the ACA established minimum standards for coverage (here's a full breakdown from CMS) in order to be certified on the bronze, silver, and gold plan levels. The new rule would allow insurers to cover slightly fewer areas of health and still be counted at a certain medal level. The rule also does project that this move will increase out-of-pocket costs for Americans in the short-run, but said that it should lower premiums to offset this in the long-run. "The proposed change in AV could reduce the value of coverage for consumers, which could lead to more consumers facing increases in out-of-pocket expenses, thus increasing their exposure to financial risks associated with high medical costs," reads the rule. "However, in the longer run, providing issuers with additional flexibility could help stabilize premiums, increase issuer participation and ultimately provide some offsetting benefit to consumers." "This proposal will take steps to stabilize the Marketplace, provide more flexibility to states and insurers, and give patients access to more coverage options," said Patrick Conway, acting CMS administrator. "They will help protect Americans enrolled in the individual and small group health insurance markets while future reforms are being debated." Give insurers more time to figure out their 2018 plans: Insurers have expressed concerns over uncertainty regarding the repeal and replacement of Obamacare by Republicans. This uncertainty, coupled with enrollment data, has already led one of the largest insurers — Humana — to announce plans to leave the market. Others are considering their offerings. The date to submit 2018 plans to the federal and state governments in April. The new rule said that if the other changes are accepted, CMS would issue "separate guidance" on the deadline for insurers. Increased scrutiny during special enrollment periods: The rule would force people that enroll outside of the open enrollment period to provide additionally documentation to be allowed access to coverage. It would allow people who lose employer coverage due to a job status change to gain access, but prevent people from waiting until they get sick to sign up for plans. This is a long standing idea to prevent abuses of the special enrollment periods. A similar proposal came from the Obama administration. Force beneficiaries to pay back owed premiums before getting the next year's coverage: The new rule would allow insurers to "to collect premiums for prior unpaid coverage" before the person was allowed to sign up for a plan from the same insurer the next year. Some of these changes had been proposed by the Obama administration in August in order to address the imbalance in the exchanges. 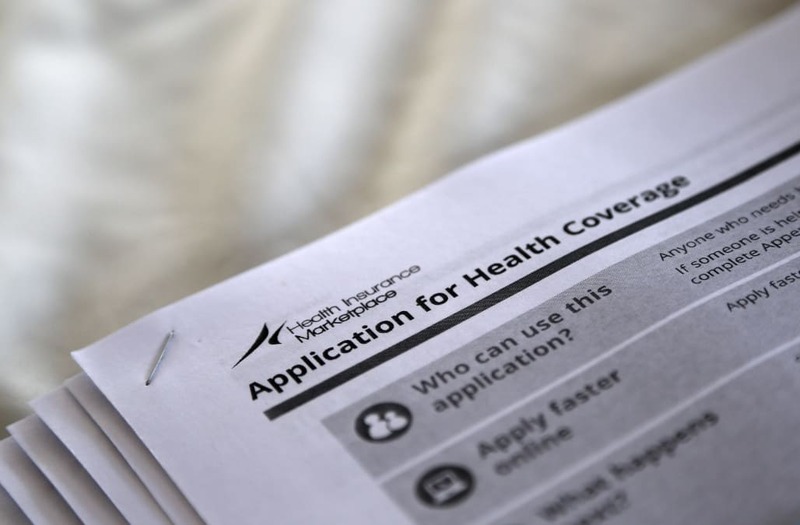 The open enrollment tweak may be the most significant departure from the Obama era, however. The CMS rules from August tried to expand outreach and sign-ups for the open enrollment period, allocating more money toward advertising efforts. Not only did Trump's team pull back from a good portion of a $5 million ad buy for the 2017 open enrollment, but the shortened open enrollment period could also make it much more difficult to grow sign-ups or keep the number of people enrolled at the same level in 2018. Open enrollment already fell in 2017 from the year before, mostly due to a significant deceleration in sign-ups after Trump took office. The new rules drew some criticism from health policy experts. Larry Levitt, senior vice president at the health policy think tank Kaiser Family Foundations, tweeted that the rules "strike me as making things less consumer friendly and more insurer friendly." The proposed changes are open to public comment until March 7, according to the filings with the Federal Registry. White House Staff Secretary Rob Porter (2nd R) gives U.S. President Donald Trump, flanked by Vice President Mike Pence (L) and Chief of Staff Reince Priebus (R) the document to confirming James Mattis his Secretary of Defense, his first signing in the Oval Office in Washington, U.S. January 20, 2017. President Donald Trump turns to House Speaker Paul Ryan as he is joined by the Congressional leadership and his family as he formally signs his cabinet nominations into law, in the President's Room of the Senate, at the Capitol in Washington, D.C., U.S., January 20, 2017. US President Donald Trump formally signs his cabinet nominations into law, at the Capitol in Washington, January 20, 2017. US President Donald Trump signs an executive order as Vice President Mike Pence looks on at the White House in Washington, DC on January 20, 2017. President Donald Trump is joined by the Congressional leadership and his family as he formally signs his cabinet nominations into law, in the President's Room of the Senate, at the Capitol in Washington, D.C., U.S., January 20, 2017. US President Donald Trump signs an executive order as Vice President Mike Pence and Chief of Staff Reince Priebus look on at the White House in Washington, DC on January 20, 2017. President Donald Trump shakes hands with Senate Minority Leader Chuck Schumer, D-N.Y, as he is joined by the Congressional leadership and his family while he formally signs his cabinet nominations into law, at the Capitol in Washington, January 20, 2017. From left are Senate Majority Leader Mitch McConnell, R-Ky., Senate Minority Leader Chuck Schumer, D-N.Y, Sen. Roy Blunt, R-Mo., Vice President Mike Pence and his wife Karen Pence, Jared Kushner, Donald Trump Jr., and Ivanka Trump. US President Donald Trump is joined by the Congressional leadership and his family, rear, wife Melania Trump, son Barron Trump, as he formally signs his cabinet nominations into law, at the Capitol in Washington, January 20, 2017. President Donald Trump prepares to sign a confirmation for Defense Secretary James Mattis as his Chief of Staff Reince Priebus (L) points to the order while Vice President Mike Pence watches January 20, 2017 in Washington, DC. President Donald Trump signs his first executive order as president, ordering federal agencies to ease the burden of President Barack Obama's Affordable Care Act January 20, 2017 in Washington, DC.